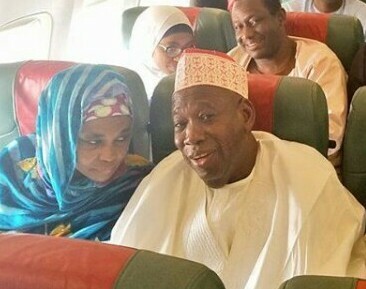 Home / Crime / EFCC insists "No Immunity" for Ganduje's wife as she is to be arraigned in court over her husband's crime. EFCC insists "No Immunity" for Ganduje's wife as she is to be arraigned in court over her husband's crime. A High Court of the Federal Capital Territory sitting at Maitama, has okayed accelerated hearing of a suit seeking to compel the Economic and Financial Crimes Commission, EFCC, to arrest and prosecute the First Lady of Kano State, Dr. Hafsatu Abdullahi Ganduje, over alleged role she played in a $5million bribery scandal involving her husband. The court, in a ruling by Justice Yusuf Halilu, further ordered the EFCC, the Kano State government and the All Progressives Congress, APC, who were listed as 1st to 3rd Defendants, to show cause why all assets owned by and or traceable to governor Ganduje and his wife, should not be temporarily forfeited, pending the hearing and disposal of a suit that was lodged before it by a Non Governmental Organisation. Likewise, the court ordered the APC, through its National Working Committee, to equally show cause why it should not be directed to immediately remove and substitute governor Ganduje’s name as its candidate for the 2019 general election in Kano State. The orders followed a suit marked CV/344/18 and a motion ex-parte marked M/887/18, which was lodged by a group under the aegis of the Incorporated Trustees of Hope Development and Empowerment Foundation. Though the plaintiff had in the motion ex-parte it filed through its lawyer, Mr. Johnmary Jideobi, prayed the court to order EFCC to temporarily seize all assets traceable to governor Ganduje and his wife, pending the determination of the suit. However, Justice Halilu declined the request, even as he directed service of all the processes on the Defendants to enable them to appear before the court on January 31 to show cause why the orders should not be made. “Whether having regard to the provision of Section 15 (5) of the amended 1999 Constitution of the Federal Republic of Nigeria and upon an intimate reading and complete understanding of the decisions of the Nigerian Supreme Court in A.G.,Ondo State v.A.G.,Fed (2002) 9 NWLR (Pt.772) 222 and Fawehinmi v. I.G.P. (2002) 7 NWLR (Pt.767) 606, the 1st Defendant herein is not duty-bound to immediately commence the criminal investigation of the Governor of Kano State regarding the corrupt episode of kick-back (bribe) taking [to the tune of $5, 000,000.00] by the Governor as contained in a viral online video? “Whether upon a calm reading of Section 15 (5) of the amended 1999 Constitution of the Federal Republic of Nigeria and intimate understanding of the decision of the Nigerian Supreme Court in A.G.,Ondo State v.A.G.,Fed (2002) 9 NWLR (Pt.772) 222, it is not imperative on the 3rd Defendant to remove and substitute the name of the Governor of Kano State as its candidate for the governorship election in Kano State of Nigeria scheduled for 2019. 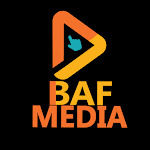 As well as, “Whether kick-back(bribe) taking [to the tune of $5, 000,000.00] by the Governor of Kano State as contained in a viral online video is not a grave violation of Section 15(5) of the amended 1999 Constitution, Public Procurement Act, 2011 and Code of Conduct for Public Officers in Nigeria?”. Upon determination of the legal questions, the group, among other reliefs, sought for, “A declaration of this Honourable Court that kick-back(bribe) taking [to the tune of $5, 000,000.00] by the Governor of Kano State as contained in a viral online video is a grave violation of Section 15(5) of the amended 1999 Constitution, Public Procurement Act, 2011 and Code of Conduct for Public Officers in Nigeria. “An order of this Honourable Court declaring void, quashing and setting aside the submission of the name of the Governor of Kano State, Abdullahi Umar Ganduje, as the candidate of the 3rd Defendant in the 2019 governorship election holding in Kano State of Nigeria. Likewise, “An order of perpetual injunction restraining the 3rd Defendant from ever holding out the Governor of Kano State of Nigeria, Abdullahi Umar Ganduje, as its candidate of the 3rd Defendant in the 2019 governorship election holding in Kano State of Nigeria”. In a supporting affidavit that was deposed to by one Martin Onyedika Okoye, the group, drew attention of the court to what it described as “a scandalous video” it said depicted governor Ganduje as pocketing vast wads of American dollars in what was said to be bribe payments from public works contractors.“In the said video, the Kano State governor could be seen collecting the dollars before rolling them into his white dress, “babanriga,” in one of a series of questionable deals allegedly struck over a span of several months. “That the corrupt episode as contained in the said video has lowered the image of public governance and shocks the conscience of ordinary Nigerians whose situation have been worsened, overtime, by the ravaging impacts of corruption such as depicted by the video the subject-matter of the instant suit. “That time is of the essence of this application as the more delay recorded by the 1st and 3rd Defendants in doing the needful regarding the corrupt episode the more irreparable damage it does to all what good governance stands for in Nigeria. “It is in the interest of justice that prayers contained on the face of the Motion Ex-Parte of the Claimant herein are granted by this Honourable Court”, it added.